Abstract: The development of the northern Danube Basin (nDB) was closely related to the Late Miocene geodynamic evolution of the Pannonian Basin System. It started with a wide rifting which led to subsidence of several basin depocenters which were gradually filled during the Late Miocene and Early Pliocene. In the Late Pliocene the subsidence continued only in the basin’s central part, while the northern marginal zone suffered inversion and the uplifted sedimentary fill began to be eroded. Individual stages of the basin development are well recorded in its sedimentary succession, where at least three great tectono-sedimentary cycles were documented. Firstly, a lacustrine cycle containing Lower, Middle and lowermost Upper Pannonian sediments (A–F Zones; sensu Papp 1951) deposited in the time span 11.6–8.9 Ma and is represented in the nDB in Slovakia by the Ivanka and Beladice Formations. In the Danube Basin of the southern part in Hungary, where the formations are defined by the appearance of sedimentary facies in time and space, the equivalents are: (1) the deep-water setting marls, clays and sandy turbidites of the Endrod and Szolnok Formations leading to the overlying strata deposits of the basin paleoslope or delta-slope represented by the Algyo Formation, and (2) the final shallow-water setting deposits of marshes, lagoons and a coastal and delta plain composed of clays, sands and coal seams, represented by the Ujfalu Formation. 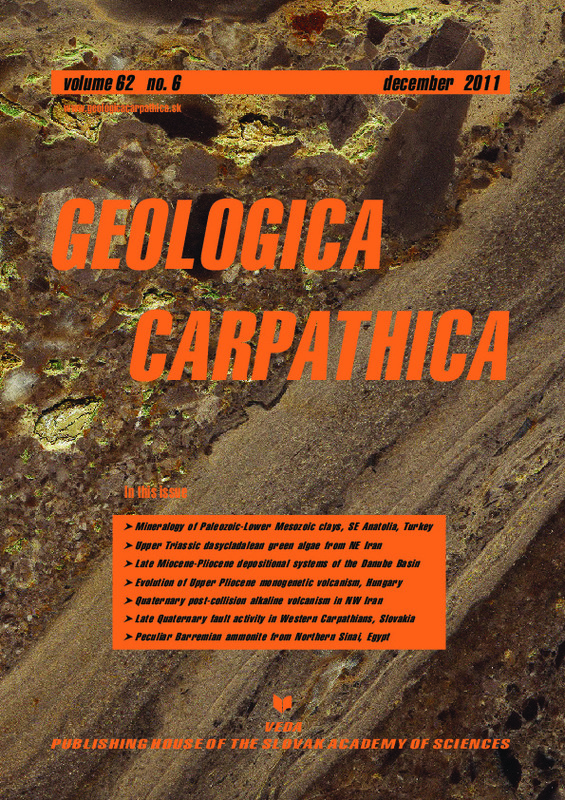 The second tectono-sedimentary cycle was deposited in an alluvial environment and it comprises the Upper Pannonian (G and H Zones; sensu Papp 1951) and Lower Pliocene sediments dated 8.9–4.1? Ma. The cycle is represented in the nDB, by the Volkovce Formation and in the southern part by the Zagyva Formation in Hungary. The sedimentary environment is characterized by a wide range of facies from fluvial, deltaic and ephemeral lake to marshes. The third tectono-sedimentary cycle comprises the Upper Pliocene sediments. In Slovakia these are represented by the Kolarovo Formation dated 4.1–2.6 Ma. The formation contains material of weathering crust preserved in fissures of Mesozoic carbonates, diluvial deposits and sediments of the alluvial environment.